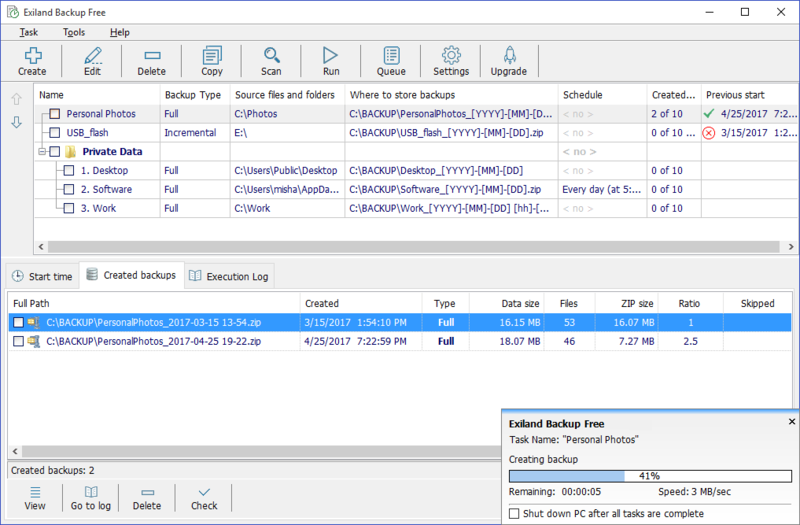 Exiland Backup Free is a flexible file backup and folders sync software. It lets you easily copy your important files and duplicate your backups to various locations: local or network drives, FTP servers, or other removable media (such as flash drives or external HDD). Commercial versions of the program are available with additional features. How to extract: Download the "Portable" ZIP package and extract to a folder of your choice. Launch ExilandBackup.exe.